"Jabberwocky: the monster so horrible that people caught the plague to avoid it"
"Jabberwocky" (1977) is a British fantasy film with comic elements. In it, a young cooper is forced to hunt a dragon after his father's death. The movie has lots of slapstick and was directed by Terry Gilliam, a member of the Monty Python comedy troupe. The title comes from Lewis Carroll's poem "Jabberwocky" which also involved a young man slaying a monster, the Jabberwock. 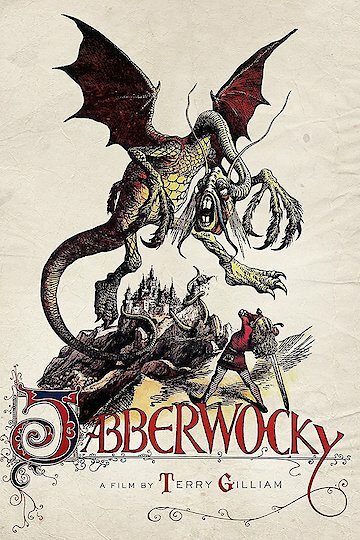 Jabberwocky is currently available to watch and stream, buy on demand at Google Play, YouTube VOD online.